While it may not be literally possible for Instagram sensations Toast and Finn to tie the knot - you know, paws and all - still, in the spirit of all things love and ridiculous, proud parents Mr. 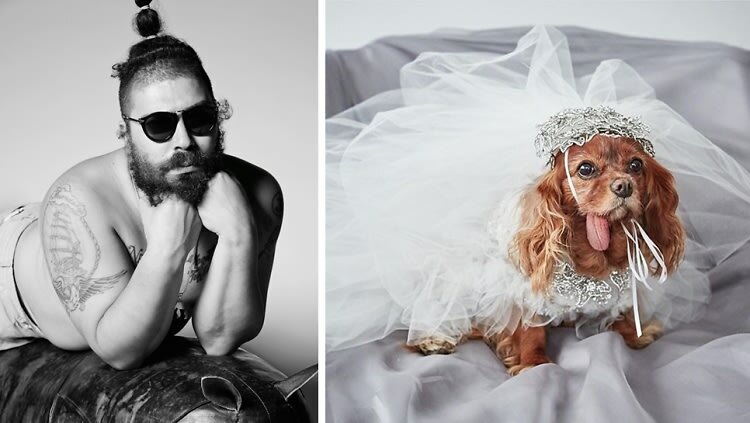 The Fat Jew, Mrs. Katie Sturino & Miss Amanda Hearst request the pleasure of your presence at the joyful union of their beloved canine children, Toast & Finn. In what we can only assume will be a most beautiful ceremony at The High Line Hotel this evening, the happy union of their puppy love will be attended and celebrated by a pack of close furry friends Chloe the Mini Frenchie, Ella Bean, Muppet, Pants, and Baby. A pretty star-studded soiree. Though we're sure the two-legged turnout will be impressive as well. Hosted by Zola.com, a portion of the ticket proceeds and gift registry sales will go to support National Mill Dog Rescue. A dream wedding, a dream cause - 'twill be an Instagrammable affair for sure. The wellest of wishes to the bride and groom!